We received Hello Stars for review from BookLookBloggers. All thoughts are our own. This post contains affiliate links. Hello Stars is about a girl named Lena who enters a contest to win the chance to star in a movie with her favorite singer. Lena goes on an adventure to Hollywood which causes her to miss out on an opportunity that she had with her friends. This was a tough decision for her. Lena's life is a good example of showing us how life can suddenly change. She thought she had her whole life planned out, but it changed because she was in the movie. She was able to make new friends and learned that it is best to give people a chance before deciding who they are or how they will act. 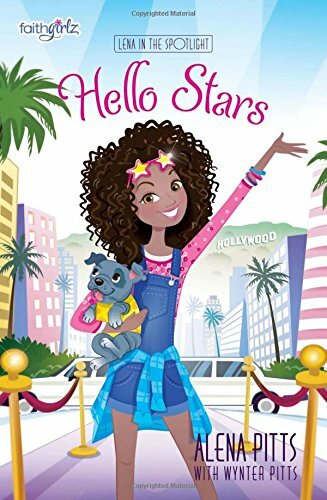 I liked Lena in the Spotlight Book 1- Hello Stars because Lena was able to do something that she dreamed of which was meeting her favorite singer, Mallory. She had the chance to learn something about Mallory that no one outside of Mallory's family knew. It was also nice to see how Lena talked to God in her journal throughout the story. 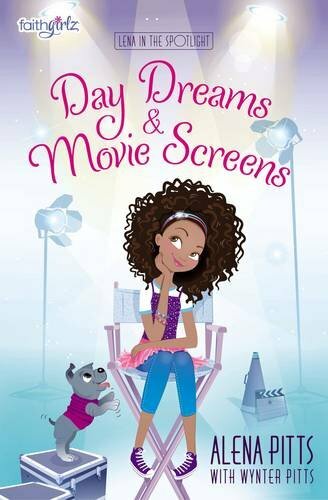 I am looking forward to reading Lena in the Spotlight Book 2- Day Dreams and Movie Screens when it comes out. Latonya transcribed this book review by R. Mo.